Well, we’re already halfway into November (seriously, where did the time go? ), which means that it’s just about time to start making plans for New Year’s Eve. 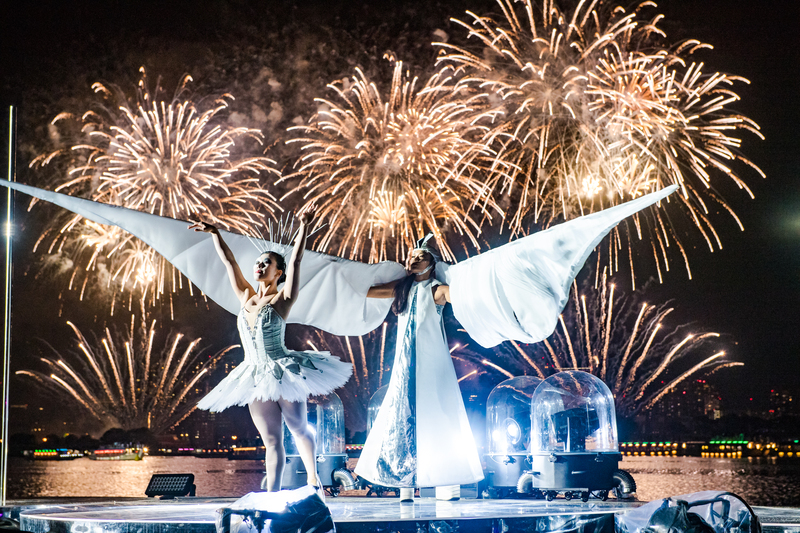 From community centres to clubs there’s no shortage of venues to usher in 2019, but arguably the most popular place to be is still the fireworks display at Marina Bay (judging by the massive crowds we see every year, we’re clearly not the only ones who think so). If that’s where you’re headed and want to take your viewing experience to the next level, however, then Star Island – Singapore Countdown Edition is something that you should definitely check out. 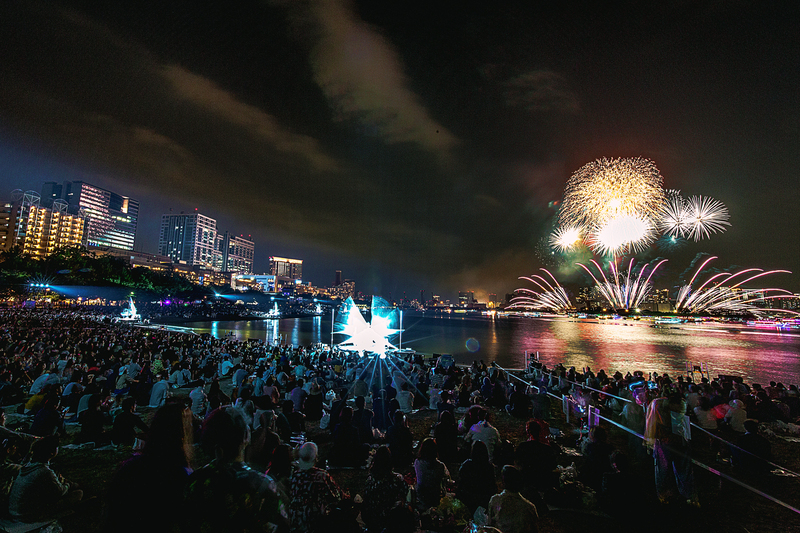 Taking place in conjunction with the Marina Bay countdown, Star Island is a musical centered around the concept of Hanabi, a long-standing Japanese tradition of eating, drinking and being generally merry while watching fireworks. “Traditional” doesn’t mean low-key, though. 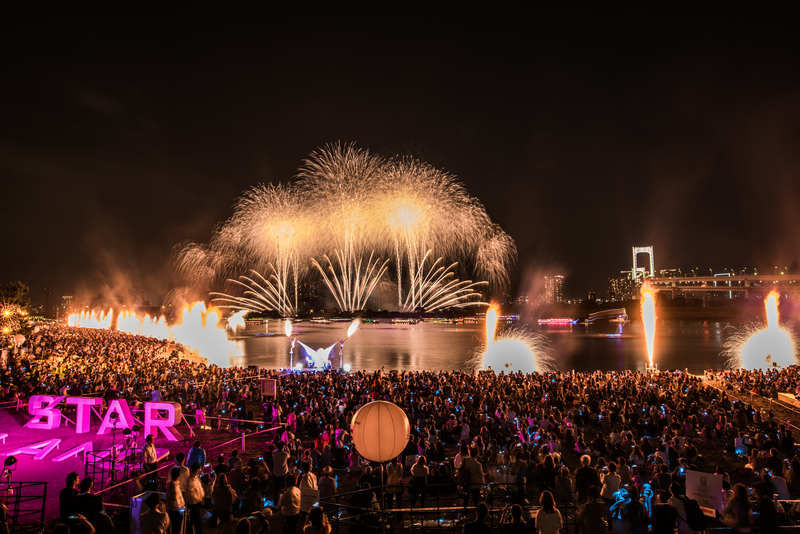 The show will be equipped with an array of futuristic gizmos, including laser projections, pyrotechnics and a whopping 200 speakers that’ll create an immersive, audio-sensory experience that you won’t soon forget. On the narrative side of things, the show will feature not one, not two, but six segments, each choreographed to a unique soundtrack and featuring an extensive cast of multi-disciplinary performers. If you didn’t manage to catch the national day parade this year, this might be the next best thing. While the musical itself will run for a little over 60 minutes, the festivities will start much earlier — from 5pm, ticket holders will be able to indulge in the Star Island marketplace, which’ll feature roving performances, family-friendly activities and of course, a wide variety of F&B stalls. Once the fireworks end, there’ll also be a dance party to help you make full use of your public holiday. Tickets are available right now at apactix.com, with prices ranging from $38 to $118. Early bird prices are available till the 30th of November, so you might want to act sooner than later for this one. Between the Prudential Marina Bay Carnival and this, Marina Bay sure looks like the place to be this New Year’s Eve.